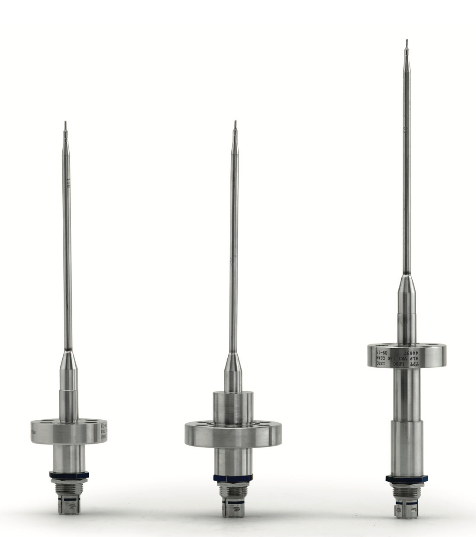 HLP-85 or Helium Probe Temperature sensor uses φ1mm ‘K’ type thermocouple to sense temperature. This temperature sensor has three configurations, namely PS2, PS4 and PS4M. The sensor uses basic element like Chromel/Alumel (K type thermocouple) with sheath and thermo well materials like AISI 304. The sensor uses unique construction techniques to obtain noise immunity and high response. Successfully flown in all ISRO launch vehicle missons.